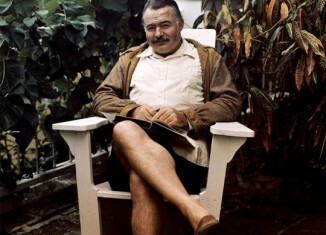 Ernest Hemingway has a lot of history. Although the man was only alive for nearly 62 years, he led quite a life compared to many people. As a child, Hemingway was born and brought up in Oak Park, Illinois. After graduating high school, he went on to work for the Kansas City Star for a few months. He eventually joined the forces and left for Italy to drive ambulances during World War I, which ended up causing serious injuries and a return home within the first year. At that point, he got married and settled down with his first wife. In the years that followed, Ernest Hemingway became a published author of many different collections and novels. He also became quite famous as an American icon, but that mostly came after his death. Many of his life experiences created the stories that went into his books, which is how many authors come up with ideas for their next story. In the late 1920s, Ernest met many modernist writers in Paris and the ‘Lost Generation’ of the expatriates. By 1927, Hemingway and his first wife were divorced and he moved on to marry a second wife. They divorced shortly after he returned from the Spanish Civil War, where he was covering events. By 1940, Hemingway was on to his third wife and she was divorced as well by the end of World War II. Ernest Hemingway married a fourth time, but spent much of his time working, writing, and exploring the world. After being involved in a plane crash in Africa, Hemingway was ill or in pain for most of the rest of his life. The great author lived in Cuba, Key West, and many other cities throughout the world as well. Eventually, in 1959, Hemingway chose to move to Idaho, which is where he committed suicide in 1961 at the age of 61. 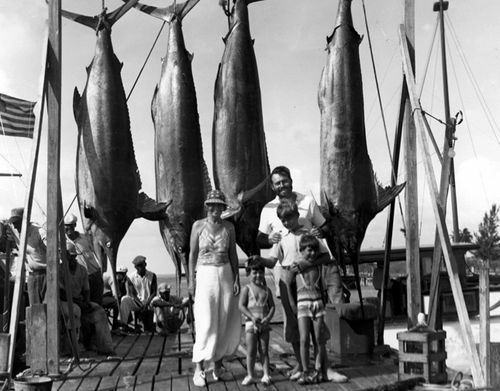 Ernest Hemingway had a modest childhood, an adventurous adult life, and a commitment to his work more so than his family or wives. He was always looking for the next great story, the next great event, and the next way to get excited about life and make a difference in the world. The man had experienced severe mental deterioration over the years, and eventually wound up in the Mayo Clinic and other psych wards before successfully committing suicide with his favorite shotgun, which was initially reported as accidental to the press. Today, he rests in the town cemetery with his fourth wife Mary in Ketchum, Idaho. His memory and contribution to American literature will live on forever.